Frank Zappa, residence and recording studio in Studio City for over twenty years; Zappa Records on Colfax and Ventura in Studio City. During the 1960s, a legend of Laurel Canyon providing the crash pad for all freaks including Alice Cooper when he arrived new in town. The benefactor of the GTOS (Girls Together Outrageously amongst other meaning). Oh boy, is that a reference to Miss Pamela? 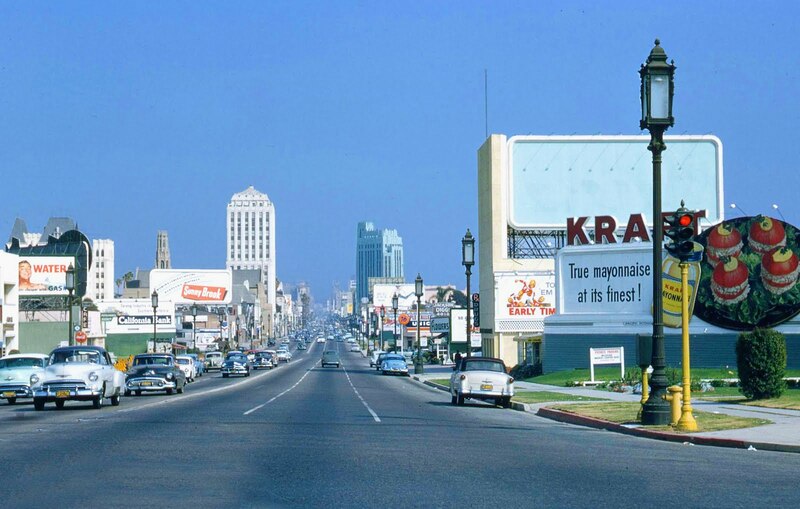 Is that how you spell Sunset Boulevard, 1968-1969. Let’s go to Rodney’s English Disco. My part of town remains Zappa Town amongst vinyl collectors. The picture of Frank on the toilet appeared on the inside door of all record stores from Sherman Oaks to Studio City until all but Freakbeat went out of business. 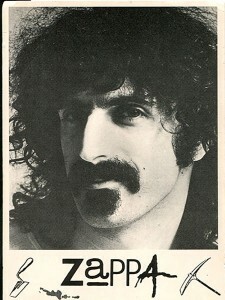 A special, “Zappa” section still exists at Freakbeat as it did in any record store worth its weight in grams of vinyl. Before Valley Girl fame, Frank had the privilege of bagging Yoko Ono’s head in front of John Lennon after her screams on stage for all too long. He first spoke to Lennon when he asked to make a parody of Pepper’s Album cover to which John obliged and left the conversation thinking Frank was all about money (hmmm wasn’t that sort of the title of one of his early 1970s albums). This was after a flamethrower burned down a gambling house he sang in across the water from Deep Purple. Although many accuse Frank’s avant-garde sounds as being unlistenable, he was capable of directing a 100 piece orchestra and playing a bicycle (as he did on the Steve Allen Show on his first television appearance). This genius staunchly opposed drug use and was an ambassador to Czechoslovakia. In 1979 I attended a makeshift private school along with his two most famous children. My mother, who resembled Joan Baez at the time, claims he had a real record player in his white Cadillac and flirted with her as he blasted his music. Dwezil was in a handball league I had no business in. When searching for a small office building in late 1998 I was shown the former Zappa Records building. I thought it was too far from the more happening part of Ventura Boulevard west of Laurel Canyon, and it was too old a building. It still had the, “Zappa Records” sign on the front. Art Tripp was attending my daughter’s first birthday party in 1981. Awesome drummer and person. Chiropractor too probably. Birthday party was just northeast of Colfax and Ventura. Oh how I miss those burgers from Fat Jacks and entertainment at the little bar that changed the spelling on their marque to King Cong Club due to the movie spelling as well as other issues.